My New Year’s reading resolution is (as it is every year) to read some of those longer classics which have so far escaped my limited attention. In 2019 I will be aided (or perhaps tormented) in this endeavour by Boyd Tonkin’s The 100 Best Novels in Translation, having established that I have so far read only 38 of his chosen novels, which in fact number more than one hundred as he has sneakily included two trilogies and a quartet. 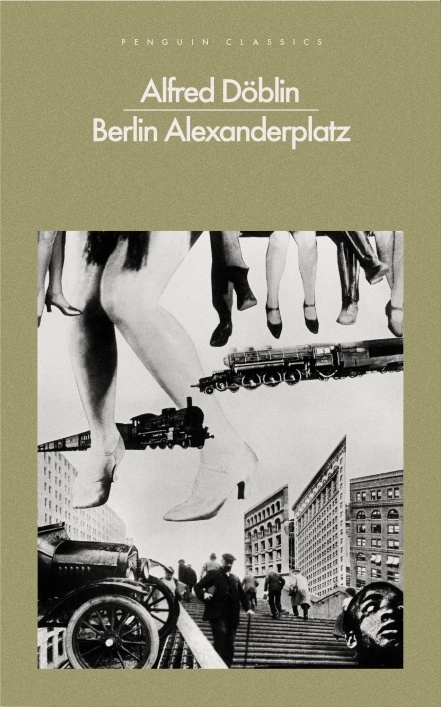 What better place to start than Alfred Doblin’s 1929 novel Berlin Alexanderplatz, out of print for over ten years, but recently released in a new translation by Michael Hofmann. It is through his friendship with Reinhold that he becomes unwillingly caught up in a robbery, asked to act as lookout. As they are making their escape, Reinhold throws him from the car and he is run over by the pursuing vehicle. He survives but loses an arm and has to begin again in his struggle to survive. Franz is neither hero nor anti-hero; he lacks the wit and charisma to be a decent villain. There is a sad gap between how he sees himself in his more vainglorious moments and the reality. “You have no idea who I am. Who Franz Biberkopf is,” he says, “He is afraid of nothing. I got fists. See my muscles.” But though he threatens revenge on the man who cheats him and, later, on Reinhold, he does not act. Only women ever feel his fists. Berlin Alexanderplatz is an enormous achievement: an unflinching portrait of a man with few redeeming features which still retains something of the reader’s sympathy; a picture of city in all its chaotic life; and a snapshot of a moment in time so vivid it allows itself to be inhabited. It is surely one of the key texts of the twentieth century.